Halcyon is a research and development engine being built by Electronic Arts' SEED group (Search for Extraordinary Experiences Division). While previously they talked up Microsoft DirectX ray-tracing and have been experimenting with it, they have also begun work on a Vulkan back-end for Halcyon that also includes Linux support. One of the SEED engineers presented at the Khronos/Vulkan meet-up Friday in Munich. There his talk was focused on the Halcyon R&D engine that the SEED team is working on and their experiments with Vulkan. SEED's Graham Wihlidal also mentioned that besides Windows, macOS and Linux are support targets for this experimental engine. 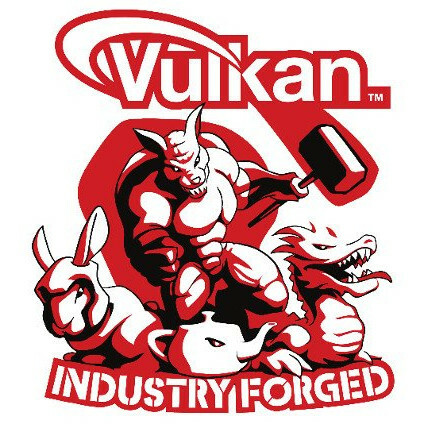 They are targeting Vulkan 1.1 with this engine and making use of its modern features while ray-tracing support for Vulkan will be tackled soon. Currently Vulkan has the experimental NVIDIA extension (VK_NVX_raytracing) targeted for use with the latest NVIDIA RTX GPUs. Those wanting to learn more about this next-generation, experimental graphics engine can find the PDF slide deck from the Munich Khronos meet-up over on EA.com that mostly covers the engine's graphics architecture. EA has also been working on a AI playground using the Halcyon engine called Project PICA PICA for those wanting to see more screenshots albeit under DirectX. At this point Halcyon is just for experimenting by their SEED group and not necessarily used for next-generation EA video games, but hopefully some elements (like Vulkan and Linux support!) will end up influencing their next-gen AAA engine designs.